I ran a PCA DE in an SCCA ITA-prepped Acura Integra at Mid-Ohio. We ran the club course for this event. My fast lap was a 1:52.3 with traffic. 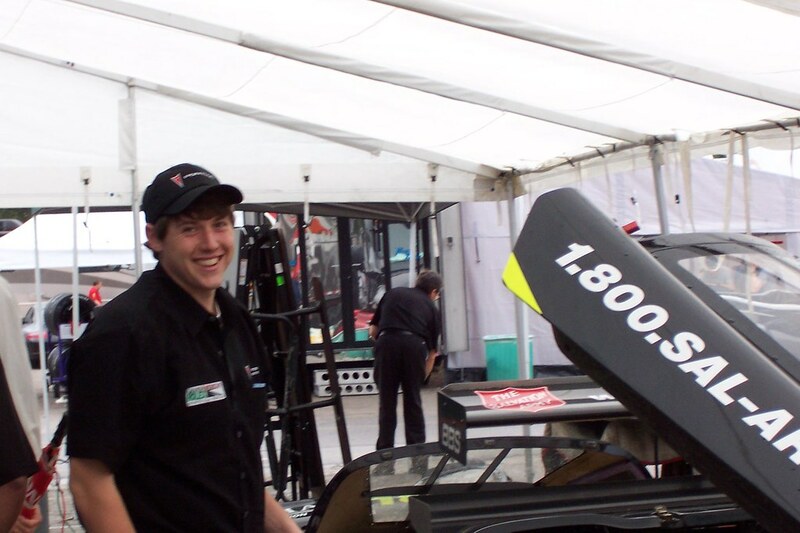 This was my first event at Mid-Ohio and in this car. I was running in Group D so traffic was constantly an issue. We had great weather for this event and it was loads of fun. I competed in TAG class for the 2009 Commercial Point Grand Prix. It was my first street race and a very challenging weekend, but it was also the most fun I've had racing. 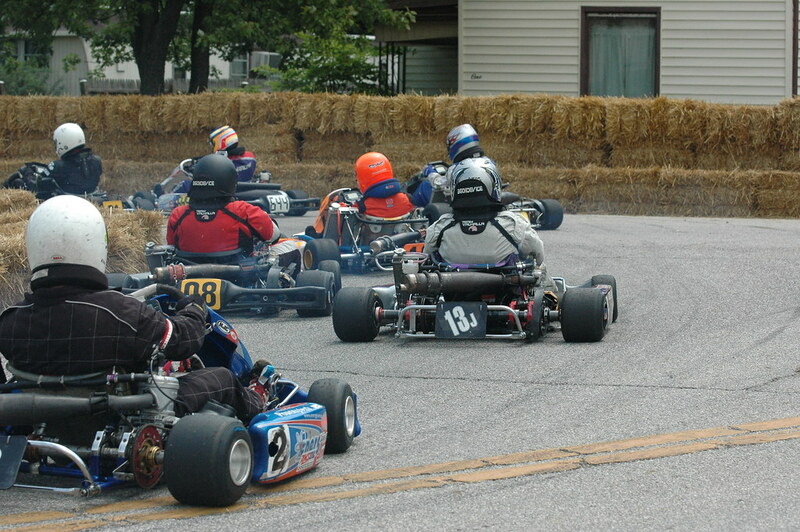 The CPGP featured a 6-turn, 0.5 mi. track that was very bumpy and very fast. 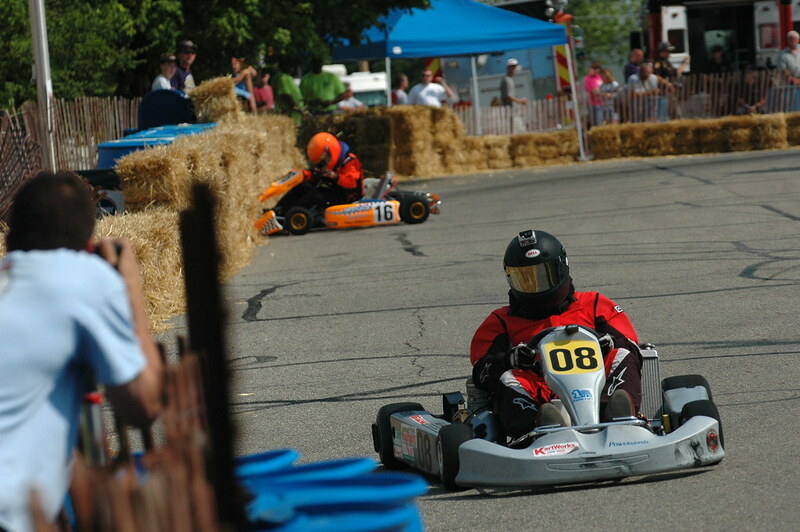 The TAG karts averaged about 58mph with lap time in the low 30sec. range. Rain washed out the racing on Saturday, so all three races (Merchandise, Trohpy, and Pro) races were on Sunday August 2nd. I gained confidence with each race and improved one position per race. 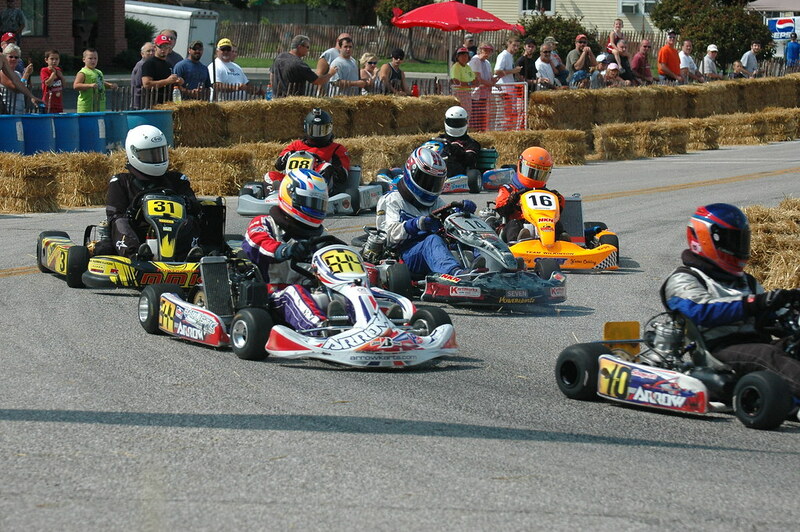 Out of 9 starting karts, I finished 7th in the Merchandise race, 6th in the Trophy race, and 5th in the 20 lap Pro race. My parents and brother visited for the weekend, so it was a great chance for them to see great kart racing action. My Dad took several hundred photos throughout the weekend and the link is below. I will try to post several videos from the race soon. The Barber race weekend in the Koni Challenge series was a challenging one for Cardiosport Racing. Initially, we were struggling (as everybody else was) with the drastic change in track grip level from the previous year. Throughout the weekend, we made setup changes between each session and gained time steadily. However, it was not enough and we were only able to qualify 15th in the 19 car field. For the race, we chose a 1-stop fuel strategy because we were 2 seconds off the leader's pace. We wanted to minimize our overall time in the pits and maybe pick up a few positions from team's who opted for 2 pit stops. As it did last year, the race was all green with the driver's doing a great job of avoiding trouble. To make matters worse, we broke our rear anti-roll bar sometime during the first stint. We most likely cracked it by hitting the apex curbing hard in one of the high speed corners. Driver Gary Grigsby started to report developing understeer around lap 20 but we attributed it to tire wear. It easily could have been the ARB breakage though. Our pit stop on lap 42 went smoothly, but we could not recover from our lack of pace. We finished 2 laps down to the winner, #37 JBS Mustang, and in 15th place in the GS field. Our next and last race of the season, will be at Virginia International Raceway on October 2-4. We will be conducting a test at VIR at the end of August so we hope to have a solid baseline setup dialed in before the race weekend. We need to avoid drastic setup fixes at the track! The race will be a 6-hour endurance race making it the longest race of the season. Fuel strategy will be at a premium, but we have high hopes for this race so wish the team luck.